TThe music business background of Robert Singerman is so rich that it’s impossible to list everything he’s worked on in few sentences. His most recent positions include the Global Biz Dev at the DotMusic initiative, International Development at LyricFind, NA Director at Brasil Music Exchange and much more. Be sure to watch the first four minutes of the interview for a more detailed introduction by Robert himself. 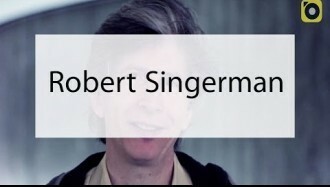 In this SAtN interview from SyncSummit Paris 2014, Robert talks on the importance of legal lyrics translations and how he’s solving that challenge. Even more importantly, he shares what happens around the .MUSIC top-level domain right now. Will it be owned by Google, or the community? Last year, months after this interview was filmed, the other community applicant – .music LLC, a FarFurther company – failed in their bid. Watch the video below to learn more. 00:00:21 – Robert Singerman introduction. 00:04:24 – The status and future of the .MUSIC top-level domain. I’m Robert Singerman. I’m in the music business for a long time and I come from a background of working with artists, artist development, booking agent, manager. I set up a few companies – Road Runner in America, Fetish Records, a bunch of other stuff. I’ve done some music supervision that’s why I’m here. I’m a partner at Sync Summit actually, in Paris, New York, and LA. I worked for a lot of music conferences – CMJ, Music Marathon, Educating Music Week, New Music Seminar one in Dublin. I represent the music of Brazil for North America. I used to represent the music of France and Europe or the States for Europe and France for America for 5 years, The European Project and The French Project. Right now I’m involved in the .Music initiative. There are 8 companies bidding for .Music new top-level domain, probably the most valuable new top level domain. We’re one of 2 bidding on Community which will start to work together. I’ve been working for the last 10 years on really giving music subtitles and also dubbing technology. Subtitles are really just metadata tags with legal lyric translations. That’s coming to fruition soon because, you might not have heard this, but Youtube is actually capturing crowd-sourcing lyric translations and showing them legally but not monetized under the Digital Millennium Copyright Act like most of the lyric translation sites have been. So that’s been 10 years. I work with partners of a company in China, partners of a company in Brazil, both of which are big streaming and music sales companies. But they also have different aspects that make them different from Spotify or Deezer or RDIO, some advantages. I work with a company in Korea. It’s doing a new mobile app called Binyl, rhymes with Vinyl. And when the board of the best back-end festival app for Coachella and for about 150 other festivals called Marcato Festival, music out of Eastern Canada. And also I’ve been working with Aloompa, which does Coachella and Binyl front-end app that all the consumers see. When I see a new technology that I like, I usually will figure out something or someway to assit them or someway to work with them more or less. LyricFind is the main, in a way, I’m actually negotiating the rights in 30 countries for all the independent publishers. Because they have deals with all the major publishers – the worldwide publishers, the Peermusic, Ultra Music. But they don’t have deals with the independent publishers. So we’re looking for one entity in each country to funnel the rights, aggregate the rights from all the independent publishers, put them on the sites who are our clients we license to like Shazam, SoundHound, Nokia, Samsung, Microsoft, Amazon, Youtube, Pandora – pretty much all the sites that show legal lyrics and all the legal lyrics sites. I think the biggest one is Metrolyrics.com and Lyrics.com, I mean you’re in the lyrics business so you know. We enabled all these sites that can’t get the licenses to get the licenses from us and we pay the publishers. In those contracts, we’re adding legal lyrics translations and in that way we’re actually getting the rights to do lyric translations and to monetize lyric translations. Thereby, giving Youtube a way to pay the publishers for the lyric translations they do – Youtube, Spotify, Deezer, etc. So we’re bringing these legal lyric translations into reality now after 10 years of working on the project – pushing Yotube, pushing everybody else to actually understand the concept, pushing the publishers to actually license their rights. So it’s currently completely unlicensed right, so legal lyric translations will mean that I can understand a song in Russian, or Polish, or Mandarin. They can understand our songs and you know, disappearing languages. Songs can be captured forever because of the translations and things like that. What is the situation with the .music top level domain? It’s a new top level domain. Right now it’s 8 applicants for the top level domain including Google, Amazon, 4 other portfolio companies funded by venture capital that are actually aggregating many dot whatevers. And then there’s one guy who’s been involved in it for about 9 years. You can win the application in 2 manners – it’s a bidding situation or it’s given to the community. So what Constantine Rosseau’s, who’s really the leader of the group that I’m working with, has been doing for the last 9 years first of all is lobbying to get ICANN to actually offer new top level domains. He’s reserved the name .Music in 27 countries. There’s very important consequences for the music industry. If the highest bidder gets it and it’s not protecting the music industry, one is copyrights, two is income. We’re actually redistributing the income, and this was Constantine’s idea, that from the sales of .Music, ASCAP Music, all the publishers of ASCAP Music, you know all the publishers of Rile .Music or wherever in the world, the organizations would actually be able to generate income on the sales to their members of the domain. Not all going to GoDaddy or whoever it is that sells domains in those countries. So it’s actually a huge potential income for the music industry and its huge protection of copyrights. Because .Music will become like .edu, we can take the domain back if anybody’s doing copyright infringement. So if somebody invests on .Music and then is selling stuff that they don’t have the rights to sell, we can just say ‘oh! Bye! We’ll have it back’. So there’s a lot of protection that’s built in that actually Google or Amazon or the venture capital companies, all they really care about is making money or protecting their own brand. In the case of Google or Amazon, they have their own initiatives in music, very very significant initiatives in music. So right now we’re in a stage that’s actually getting close to the end, which will be community evaluations. Again, this has been like a 9 year project. The community evaluations, which for our 2 companies will happen relatively soon.